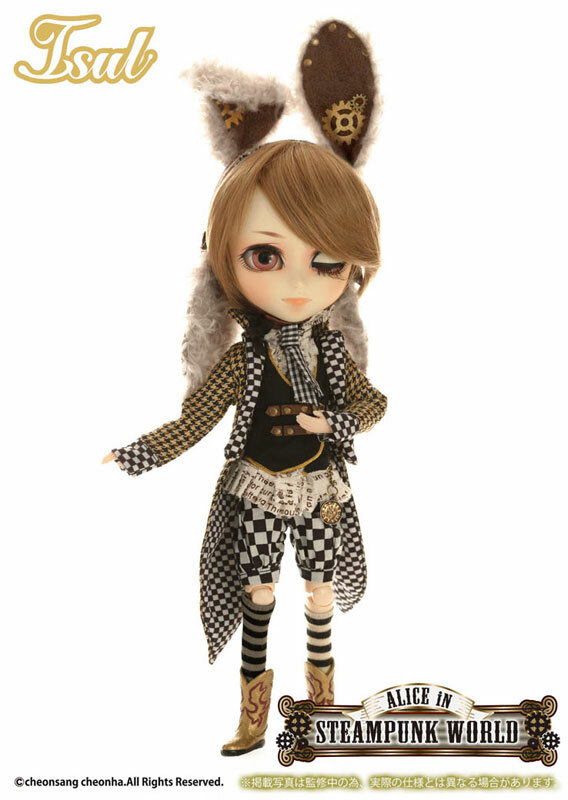 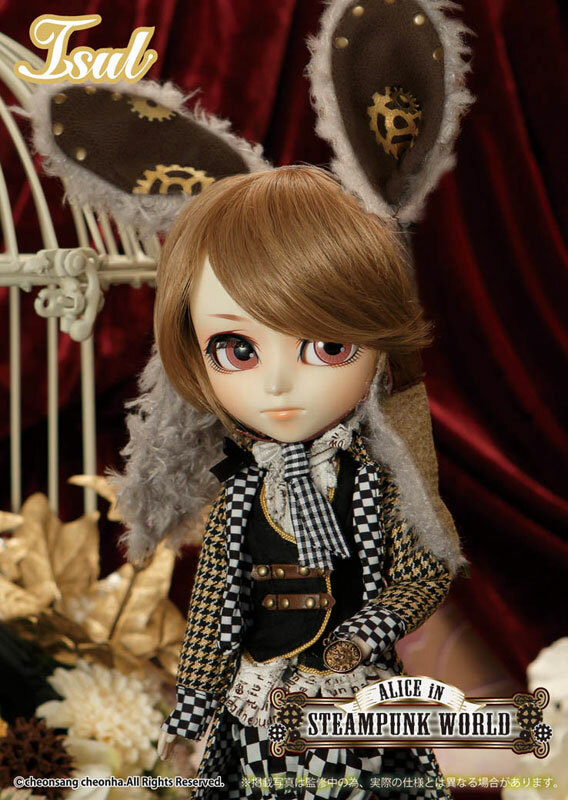 Isul White Rabbit in Steampunk World was released in August of 2015, he was the third doll released as a part of the fan favorite Alice in Steampunk World series. 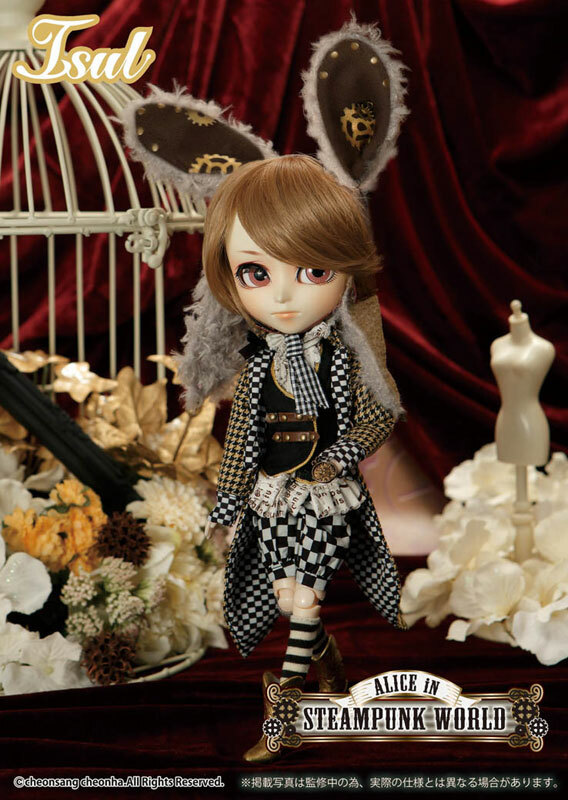 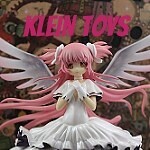 Other dolls in the series include Pullip Alice in Steampunk World, Pullip Mad Hatter in Steampunk World, Dal Alice in Steampunk World, Pullip Cheshire Cat in Steampunk World & Taeyang Dodo in Steampunk World. 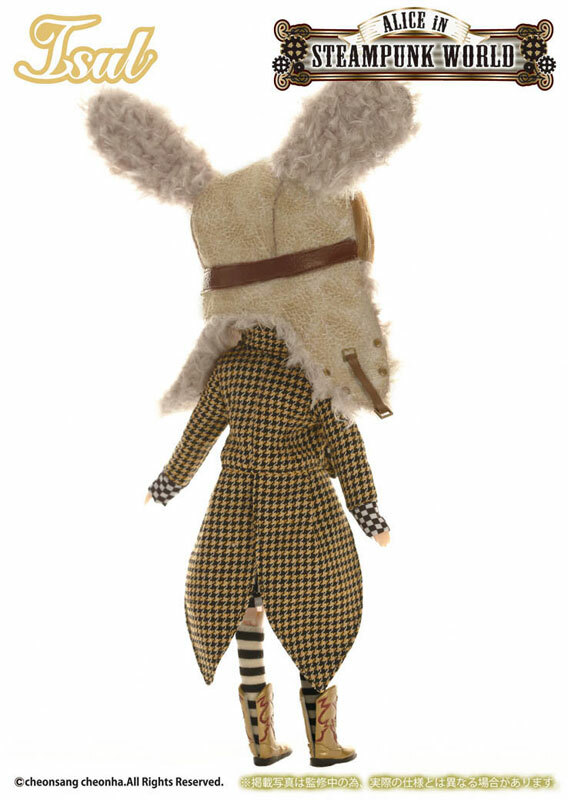 Feel Like So: Hurry up Alice!!….. 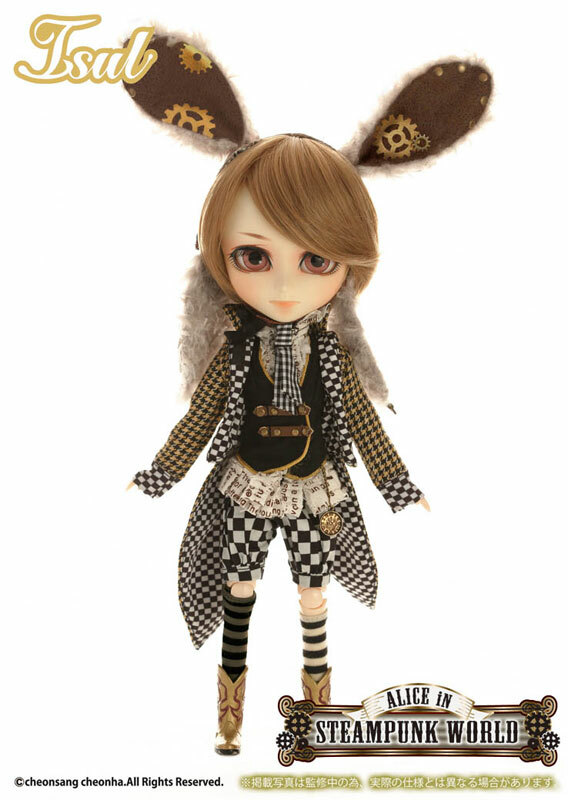 I’m a White Rabbit that wound up screw…. 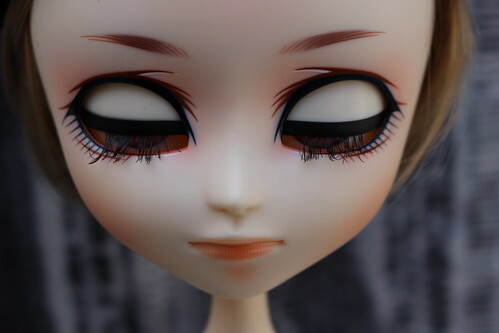 Nobody can turn off the gear which continues turning around….Situation Like So. 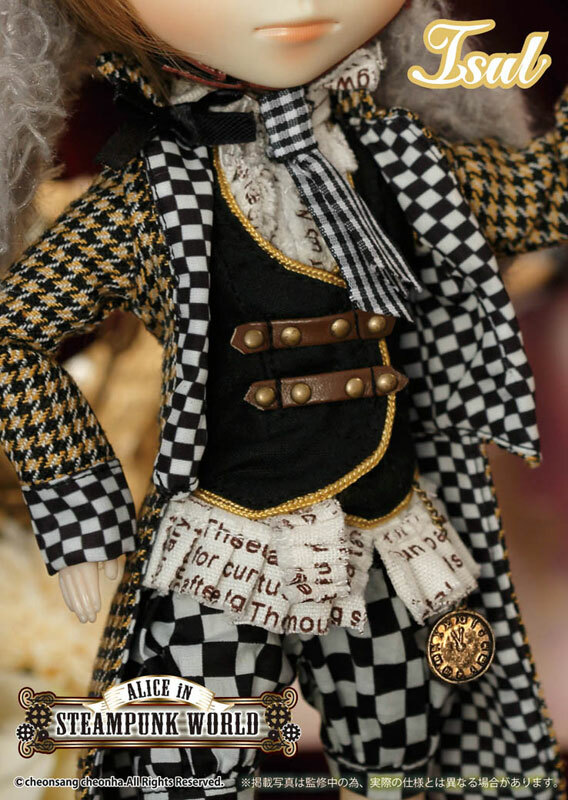 Special Notes: The text on Isul White Rabbit in Steampunk’s shirt is quite random. 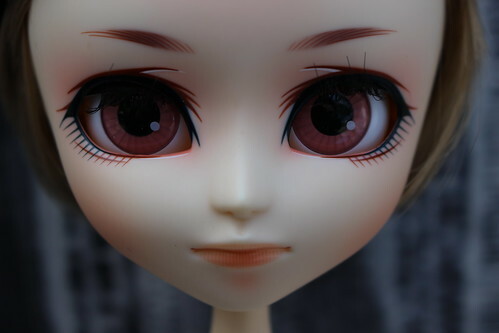 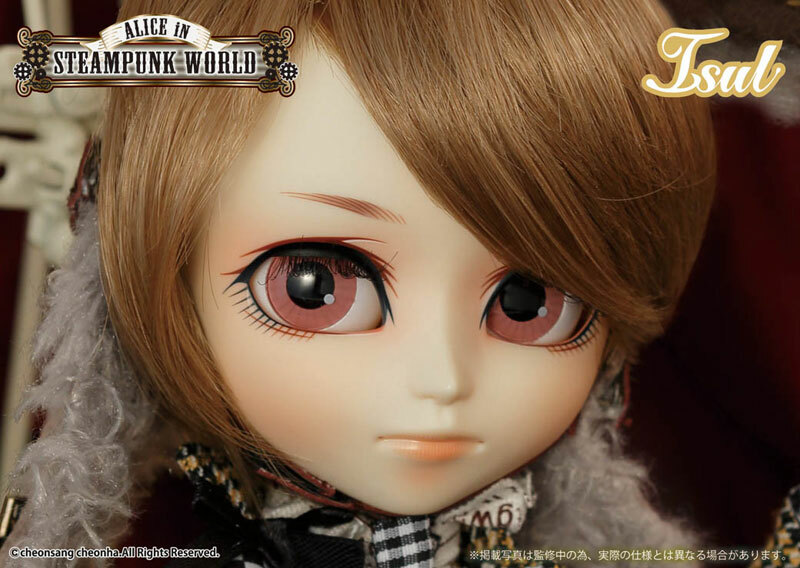 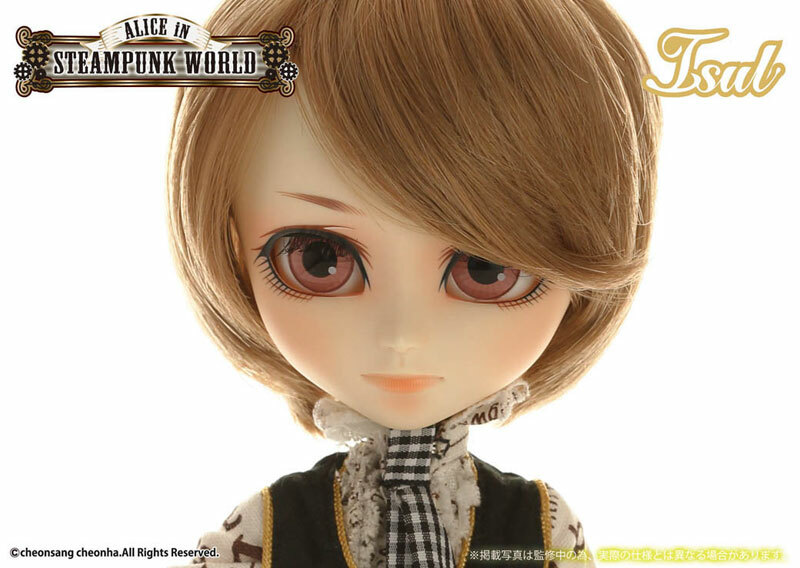 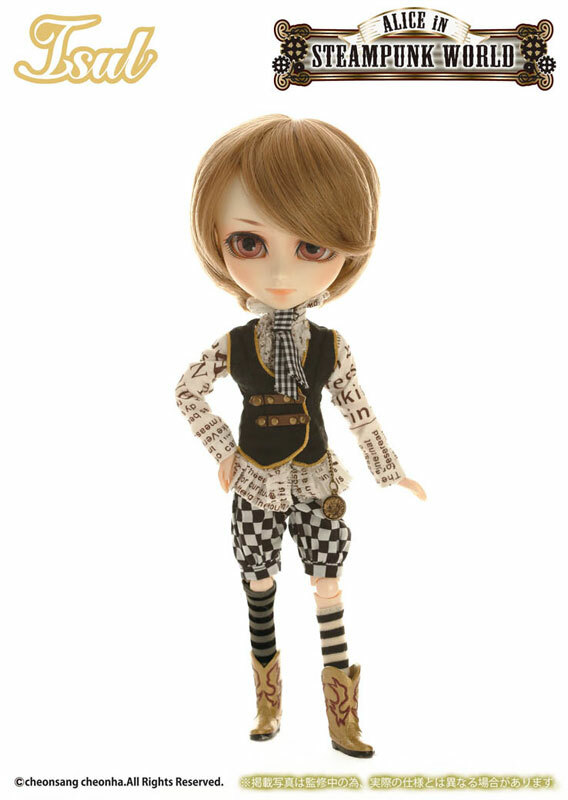 Similar Doll Recommendations: Pullip Alice in Steampunk World, Pullip Mad Hatter in Steampunk World, Dal Alice in Steampunk World, Pullip Cheshire Cat in Steampunk World & Taeyang Dodo in Steampunk World. 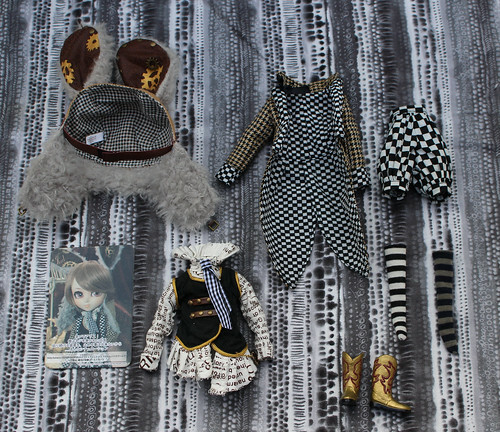 Pullip Mad Hatter in Steampunk World, Isul White Rabbit in Steampunk World, Taeyang Mad Hatter in Steampunk World, Pullip Cheshire Cat in Steampunk World, Dal Alice in Steampunk World and Pullip Alice in Steampunk World.